There’s a new kid in town! 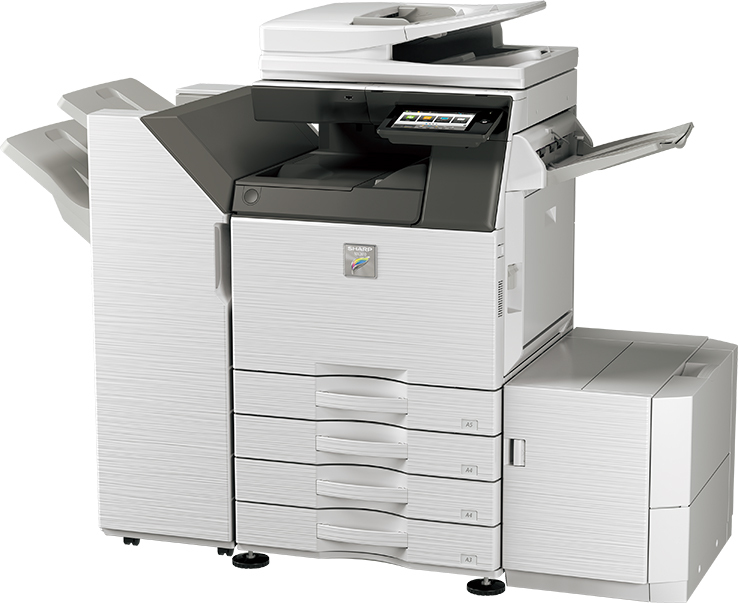 Sharp has released a new entry-level, low-volume A3 color document system. With speeds at 26 pages per minute the MX-2630N isn’t going to blow the doors off, but it will get the job done. With great color quality and a simple, customizable interface the Sphinx is sure to meet your printing, copying, and scanning needs. We are referring to this machine as the little brother of the MX-3050N that we’ve had great success selling and servicing. Click through here to view the full PDF brochure, which includes the spec sheet on the last page, with explanations of the machine and it’s features. For just the spec sheet, you can click through here. Most options and accessories for the MX-2630N are different paper feed and finisher options. The standard paper capacity is 650 sheets, but you can add options to have up to 6,300 sheets online. Additional options include, but are not limited to, wireless network card, fax expansion, Post Script expansion kit, Sharp OSA modules, and a commercial Data Security kit. Ask your Skelton rep about all of the features you’re interested in and we will put together the right configuration for you. Visit our quote request page and fill out the easy to use form. We will provide pricing to you quickly without a pushy sales process. Skelton Business Equipment has been the premier Sharp dealer in Houston since 1978. Call us at 281-351-5128 or use our contact form to start a great business relationship. We handle the full sales process, and provide excellent service after the sale to the entire greater Houston area.